Brunswick is a port city located right off the Atlantic Coast in Georgia. The historic town is best known for its beautiful waterways, local rivers and historic natural landmarks. There's little reason to spend time cooped up in your Brunswick home when you can enjoy the gorgeous Mary Ross Waterfront Park or go sailing around the Golden Isles. These scenic areas also regularly host shows and events, such as the Brunswick Rockin' Stewbilee Cook-Off, the Rhythm on the River Concerts and the Blessing of the Fleet sailing event. And the locals certainly know where to find a great shrimp cocktail, with the city being commonly referred to as the "Shrimp Capital of the World". When you're out taking advantage of the Brunswick beauty and some of the world's best shrimp and beef stew, you'll want to keep your home and your family protected. Alarm Grid can provide local automatic dispatch to your residence in Brunswick, GA whenever an alarm event should occur, including any break-ins, fires or environmental emergencies. 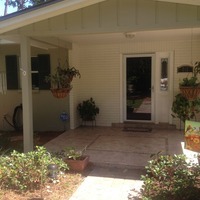 This will offer you much-needed peace of mind while you're enjoying your sailboat, jogging the Sidney Lanier Bridge, or hiking through the Blythe Island Regional Park. Although it's hard to imagine anything bad happening in this gorgeous Georgia town, it never hurts to be prepared. Sign-up for Alarm Grid monitoring and keep your Brunswick home safe and protected from any trouble. 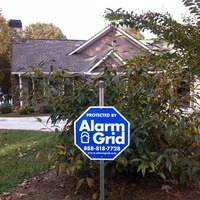 "Alarm Grid's rates were competitive with all the local companies. And as far as other online companies go, Alarm Grid worked with me to set everything up.... No other company was as hands on and available as Alarm Grid."